In simplest terms, a CMS is a Software Package that facilitates the Creation, Publishing, Distribution, Organization and Management of Online Content. K3 Web Creation delivers all Websites with an easy-to-navigate, fully-supported Content Management System (CMS), so you can post, refresh and change your Website Design and Content on your pages yourself to reflect the frequent changes in your industry. Content Management System (CMS) is the key feature of a Dynamic Website. CMS includes Creation, Publishing, Organization, Storing and Maintenance of any and all of the Content posted on your Website. Our CMS models are so user friendly, we can train your staff in a few hours. K3 Web Creation recognizes the importance of information in any Communication. Every Business Enterprise must be able to communicate all its information in a seamless and continuous manner over the Internet. A CMS assists the Web Editor by providing tools for the creation of Content, the publishing of the content, and, ultimately to archiving and storing the Content. Customized to your specific business needs. Give you the creative freedom to play and experiment with your Design or Content features. Has an intuitive, responsible and flexible CMS Interface that can be accessed from anywhere and anytime. 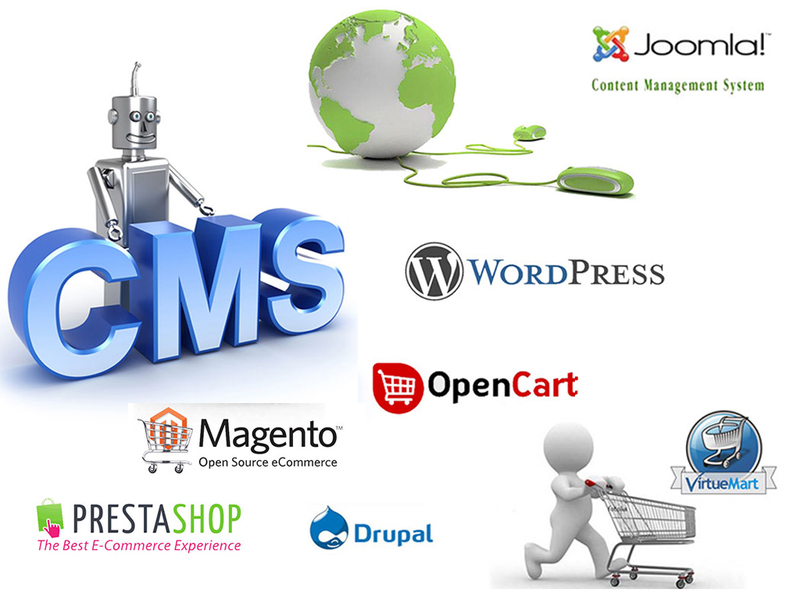 In addition, our CMS system would be fully compatible with and E-Commerce Models. Just as the value of a brand new car depreciates the minute you drive it out of a dealership, a Website can lose its shine (and value) unless it’s kept updated in terms of look and feel. That's why K3 Web Creation delivers all Websites with an easy-to-use and fully supported Content Management System (CMS) – so you can post, refresh and change your Website Design and Content on a 24/7 platform, there be a need for it such frequent updates in your industry. Seamless Content Management, so you can quickly update your Content, Visuals and Articles. Update existing information on the fly. Format additional Content including Banners and Widgets. Easily integrates with an E-Commerce Model. Can be compatible with a clutch of other plug-ins, such as Google Checkout, PayPal, and more. Easily installs and updates Google Analytics. Seamlessly updates Meta Data, Sitemaps, and more. Quickly updates your Sitemap to keep Search Engines actionable on your site. Your CMS User to access to multiple team members. Assign limited or Administrative Access to various team members. A CMS not only creates the Structure of how information- Articles, Video, Design Elements and Images- will be presented, it gives all of the Tools for populating a Website. Depending on the client's needs and staffing, the CMS can be designed for use by a Highly Technical Webmaster or can be so simple and intuitive that even the most Technologically Challenged Editors can use it effectively. Fast to set up sites.